Based in Kansas City, Missouri, the Kansas City Royals are a Major League Baseball (MLB) team. They’re the member of the Central Division of the American League of MLB. The team, established in 1969 as an expansion effort, has played in the Kauffman Stadium since 1973. It’s a remarkably gifted team devoted to playing powerfully and steadily on the field. 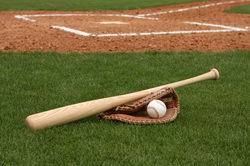 Seeing them in action playing skillfully against their opponents is a delight for any baseball fan so get your Kansas City Royals tickets and have an invigorating time with your friends. After the 1967 season, the people of Kansas City were in doldrums as they ended up with no baseball team because the Kansas City Athletics had moved to Oakland. After major lobbying efforts, MLB quickly established the Kansas City Royals as an expansion team, which started playing in 1969. The new team was won by Ewing Kauffman, a pharmaceutical executive, who named the team after the American Royal, a livestock show that has been a regular feature of Kansas City each year since 1899. The newly established team started its commercial venture with a big bang as it defeated the Minnesota Twins in its inaugural game on April 8, 1969. Under the expert guidance of Cedric Tallis, its first General Manager, the team was built at a rapid pace using intelligent trading and investing into a powerful farm system. Hence, the team achieved its first winning season quickly in 1971 when it finished at second place. The legendary powder blue uniforms were adopted in 1973, and the team moved into its own, majestically-built stadium known as the Kauffman Stadium. Initially, the Kansas City Royals were a part of the Western Division of the American League where they become a force to be reckoned with as they won three consecutive division championships (1976-1978). However, they were not able to thwart the New York Yankees in the three consecutive American League Championship Series. Finally, they were able to defeat their all-time rivals New York Yankees in 1980 and won the pennant under the powerful management of Jim Frey. It was a memorable day in Kansas City when its team reached the World Series for the first time; unfortunately, they were hindered on their way to the championship by the talented playing of Philadelphia Phillies. The season was followed by the controversial Pine Tar Incident, and then, in 1985, after the maturation of players, the team won its fifth division championship. 1985 was the greatest year for the team as it not only won the pennant but also powerfully faced its Missouri brothers, the St. Louis Cardinals, in the final championship and didn’t let go until they had clinched the World Series. From 1986-1994, the Kansas City Royals worked on developing their young players. Their play was good but not excellent; hence, they were not able to reach the playoffs. After the death of the team owner, Ewing Kauffman, the team started going down. Its payroll slipped while the average salary of MLB players went up leading to negativism in the team. It just went down and down, and reached the rock bottom in 2002 when it lost 100 games. The manager was changed and Tony Peña as the new manager guided the team to a winning record of 83-79. However, it started going down again breaking its record of 100 losing games to 106, but fans also noticed the promise in starting pitcher Zack Greinke and center fielder David DeJesus. 2009 was a better year for the Kansas City Royals as it tried its level best to bounce back from the rock bottom and ended up at fourth place in its division. However, 2010 was another bad season as the team ended in the last place in the division. The team is going through a tumultuous time and is struggling hard to win back the glory of the 80s. They can either surprise you or disappoint you but the main thing is that they’ll definitely provide you with loads of thrilling action, and you’ll be on your feet throughout the live game screaming, enjoying, and just having a great time with your friends. Get your Kansas City Royals tickets and cheer them on to show some powerful play this season to make their city proud of them!